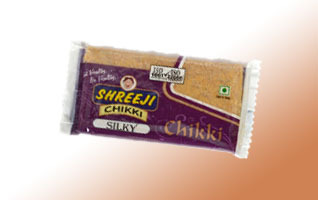 Silky Chikki is one of the best products of Shreeji Chikki. 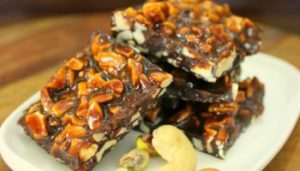 Silky Chikki is very delicious and healthy. One can have it at any time of the day and though it contains peanuts,it crushes easily and feels softer and silky in taste. Peanuts, Jaggery, Sugar, Liquid Glucose, Contains Added Flavor.